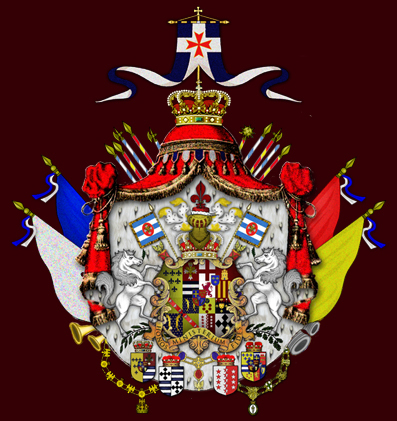 This is the official website for TRH the Grand Prince and Grand Princess of Etruria and Rutherford Johnson, Cardinal Archprince of Florence, and the Countess of Sainte Animie, Archprincess of Florence. The Legal Disclaimer for the Royal House of Etruria in the Holy Roman Empire. The Royal House of Etruria in the Holy Roman Empire, the Royal House of Johnson-Etruria-di Daniell, and the House of Johnson-Etruria-di Daniell are d.b.a.s of a non-profit religious corporation incorporated within the United States of America. This website in its entirety is the Intellectual Property of the Royal House of Etruria. The information, text, photos, documents, and media in any form whatsoever contained in this website is International and United States Copyright and Trademark Protected. No part of this website, may be copied, shared, or transferred without specific, written permission of the Royal House of Etruria. The unauthorized use, disclosure, copying, or alteration of this website is Unlawful and Violation is Subject to possible Civil and Criminal Penalties. The Royal House of Etruria, all dbas, and its parent corporation, and its members are not and will not be liable for any direct, special, indirect, or consequential damages arising from alteration of the contents of this website by a third party or as a result of any malicious code transferred to a third party by virtue of visiting this website. Crown, International, and United States Copyright Held © 2008-2013, All Rights Reserved.